In 1870 the first branch of the Bijenkorf was opened. 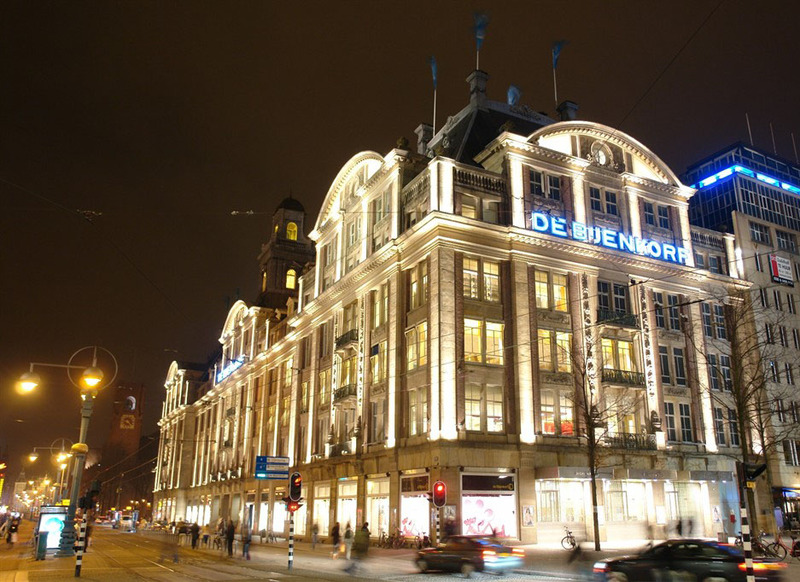 Since then the department store, with twelve branches and a highly popular webshop has become one of the strongest brands in the Netherlands. Within the extensive product range the focus is unmistakably placed on fashion. In addition the Bijenkorf ensures that every visit is an experience. Offline and online. So the Bijenkorf set up a Google+ page with its own URL: google.nl/+deBijenkorf. Instead of just copying over the content that is made for other social media, rich, exclusive fashion content is created. With posts and videos about StyleNews, interviews, bloggers, news, relevant links and new high-end products. Events are an important part of the strategy of the Bijenkorf. These are organised around special moments, but also around products and product launches. For instance there was once a chance to ‘meet & greet’ Jean Paul Gaultier, and there have been shop window presentations and cooking demonstrations, and an ode to the Rijksmuseum. There is something new to see or experience in one of the branches virtually every day. With the Hangouts, a unique feature of Google+, Bijenkorf has been able to create an online fashion experience. The Bijenkorf opens the fashion season with the very first Fashion Hangout, in which fashion and beauty lovers can question designers and fashion bloggers about the latest trends. Promotion takes place via the website, the newsletter, the Bijenkorf Magazine, Facebook and Twitter posts, Facebook advertisements, personal invitations and posts on Google+. And that is succesful. The Hangout is followed by a lot of fashion lovers via the Google+ page and YouTube. The Bijenkorf keeps abreast of all its social media activities via a social media dashboard which was created by Media Injection. By integrating Google+ within this, posts and comments can be added from one central point.